We missed going to this museum last year when we were visiting, and it happened to be open during Cheese Days, so we stopped in. Admission is $2 for adults, but Al got in for free because he has a mustache. 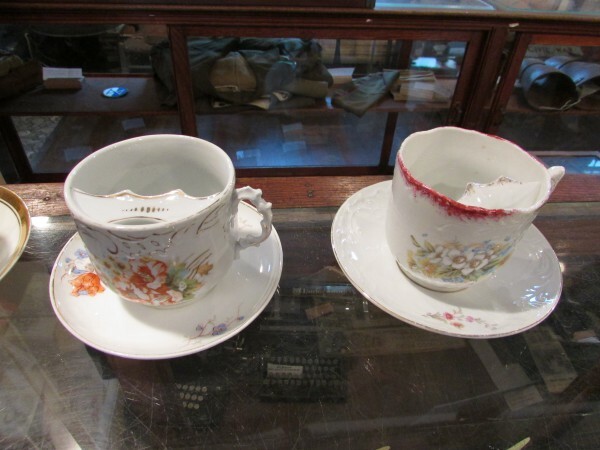 They were celebrating their new display of mustache cups on display for the 2014 season. 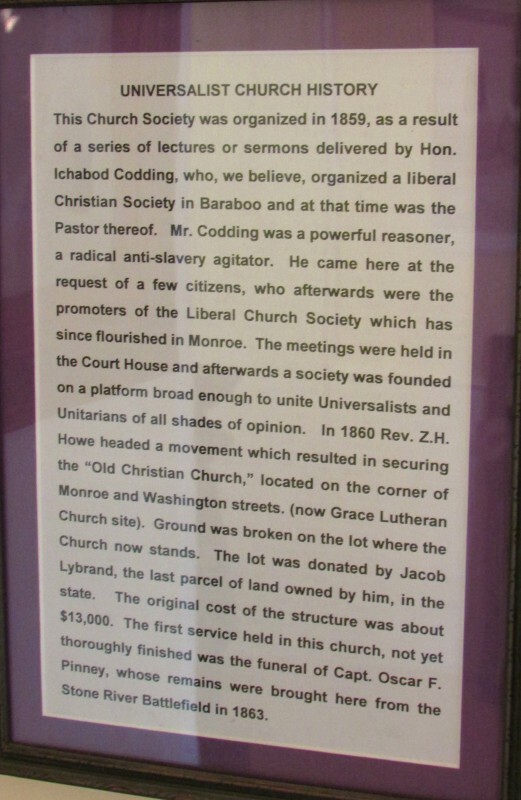 A history of this former church. 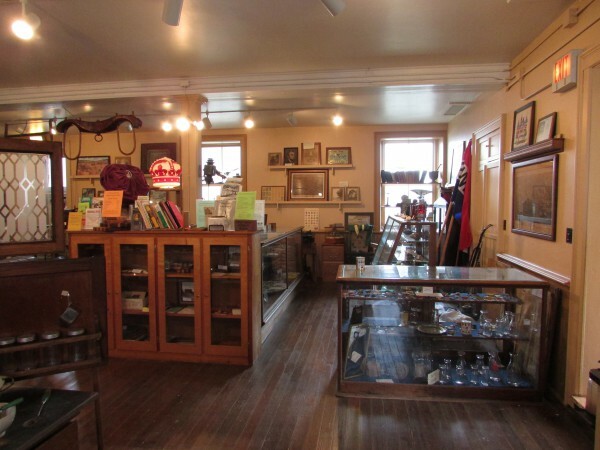 The museum has a great many Green county and Monroe artifacts for viewing. 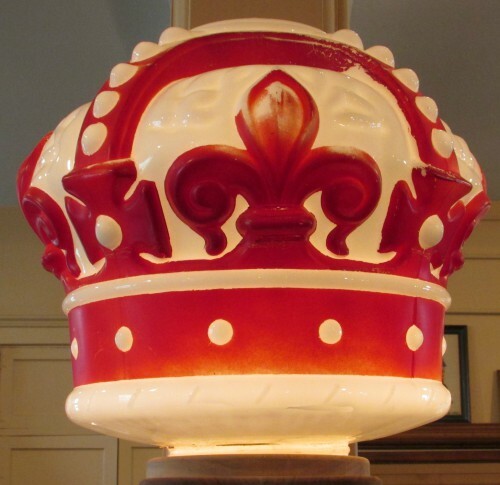 You can see the Standard Oil Red Crown gas pump globe that was once at a Standard gas station in Monroe. It was restored and is working again! Another artifact that was also working that was a great surprise, an Edison cylinder phonograph with a 1910 recording of “The Old Folks at Home” (Swanee River). Our guide played it for us, thanks! Here is a kitchen display. 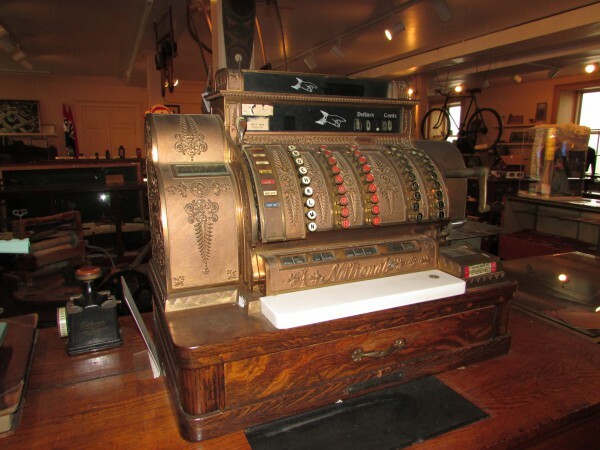 A vintage cash register, still looks great! Cheese Days has been a big tradition in Monroe for 100 years. 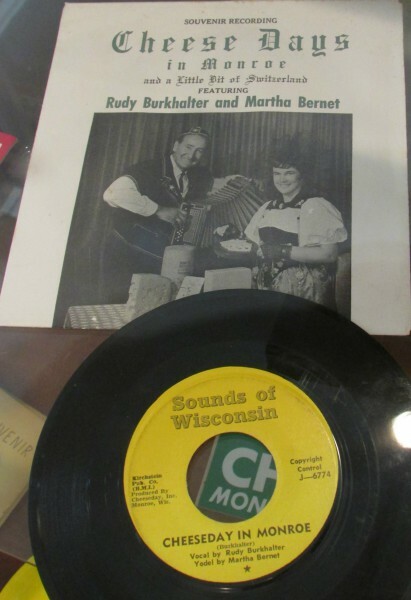 they had on display the 45 produced in 1967. It remains the official theme to this day. Listen to it here, with a slide show of this year’s festivities. We went to the 2nd floor for more displays in the former church. 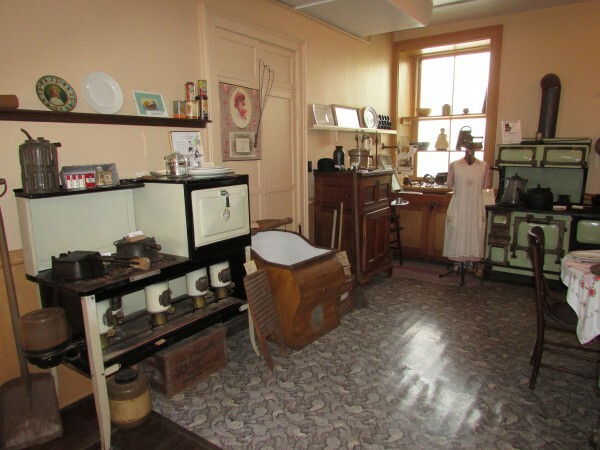 On the way up were antique record players, including the Edison cylinder record player. 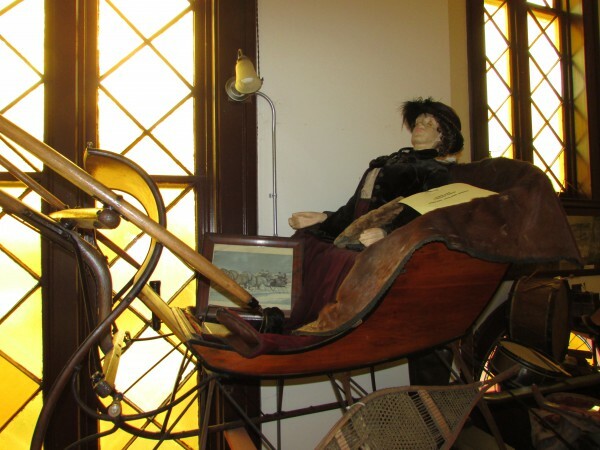 Also a sleigh. On the 2nd floor, wow! 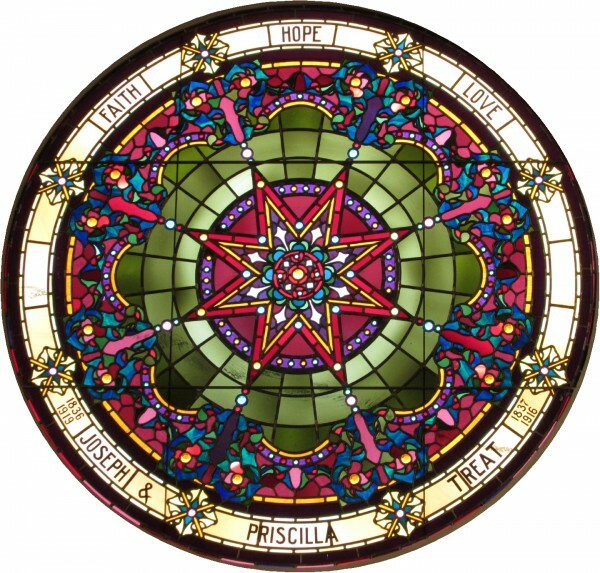 The stained glass windows were gorgeous! 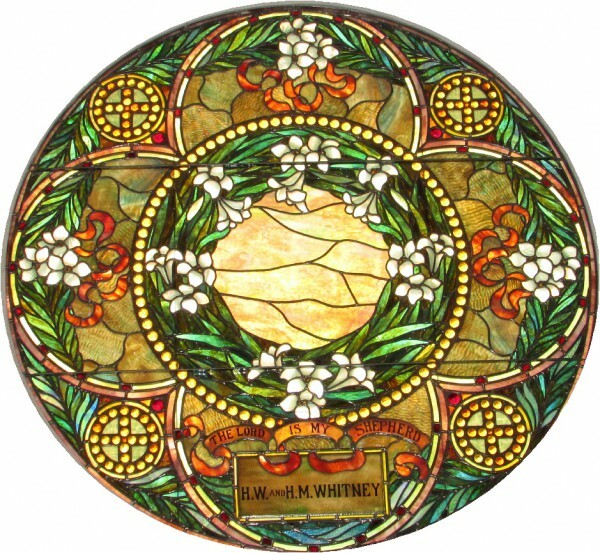 We were told that each window piece was carefully removed and cleaned and re-assembled. Hard work but the results show! 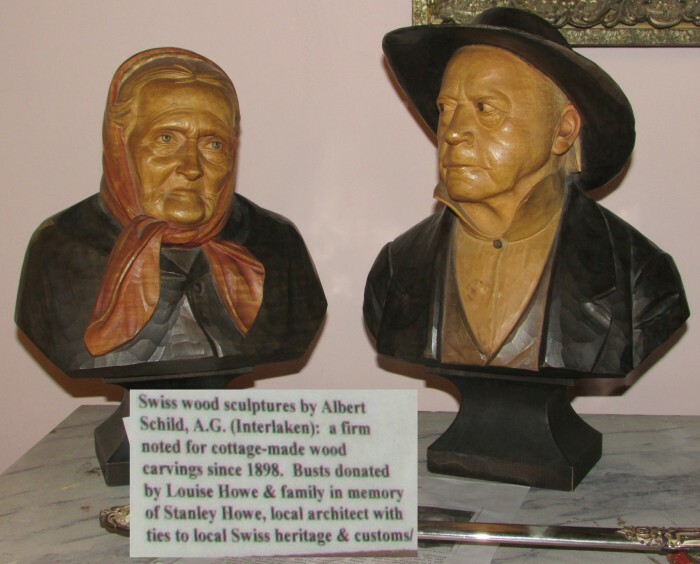 Very realistic Swiss wood sculptures on display. 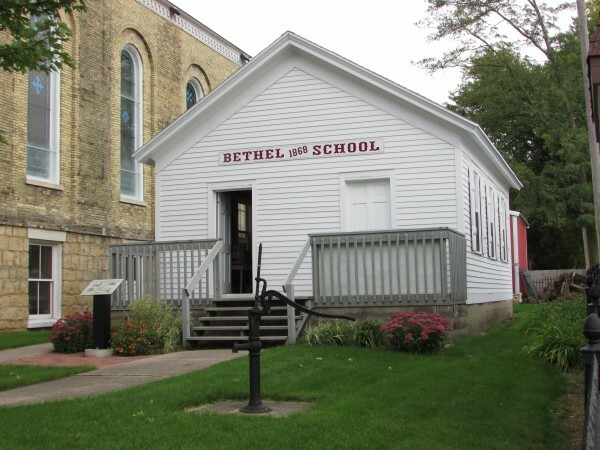 After touring the inside of the museum, we saw the one-room Bethel schoolhouse right next to it. 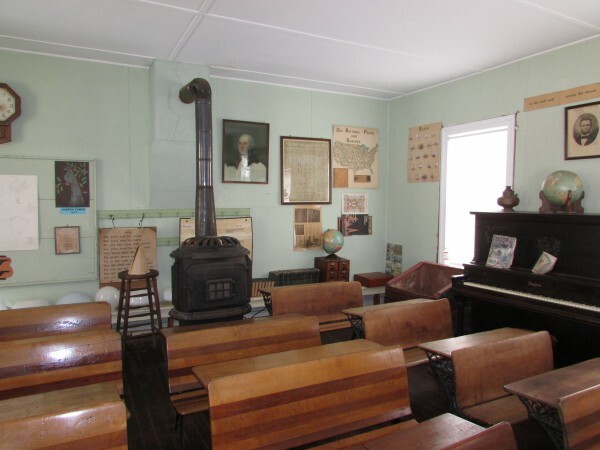 The school was in use in 1906. By 1970 it was moved next to the museum and restored. 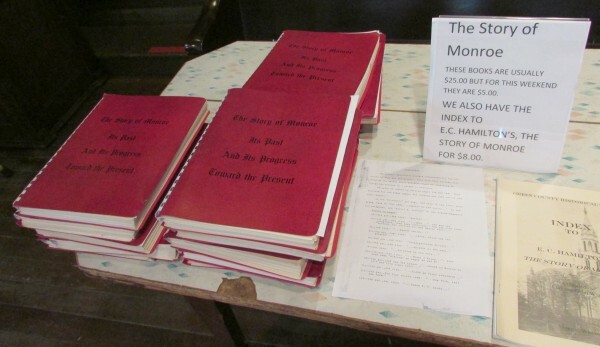 At the end of our tour we got a book, “The Story of Monroe- Its Past and It’s Progress Toward the Present” for the Cheese Days special price of $5. 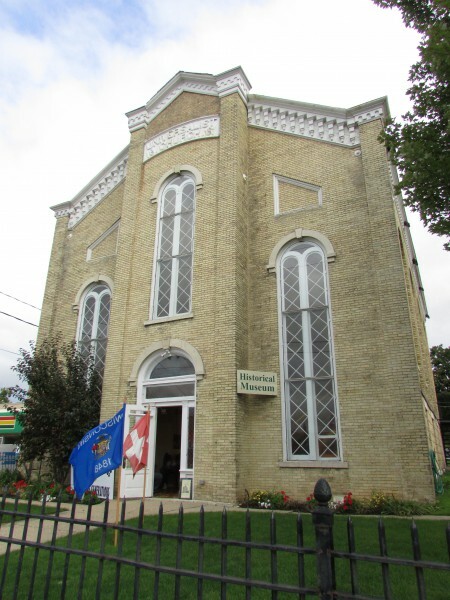 What a great addition to our Wisconsin history reference books! What a great tour! 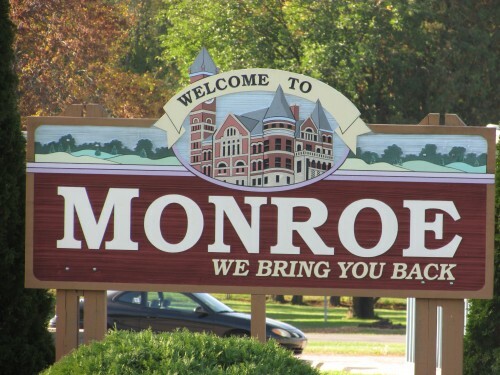 Monroe lives up to its slogan, this friendly community keeps you coming back!